Roussillon has benefited from a complete absence of modern development. In the heart of the Luberon region of Provence, canyons and ridgelines rule, and land developers take a back seat. Still-proud hill towns guard access to winsome valleys, while carefully managed vineyards (producing inexpensive wines) play hopscotch with cherry groves, lavender fields, and cypress trees. 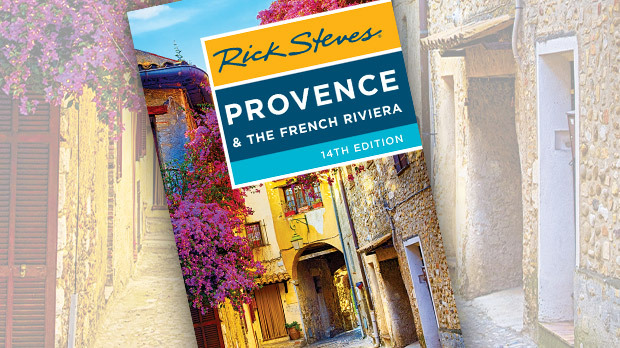 Twenty-some years ago, Peter Mayle's A Year in Provence nudged tourism in this area into overdrive. While the hill towns can be seen as subtly different variations on the same theme, each has a distinct character. Look for differences: the color of shutters, the pattern of stones, the way flowers are planted, or the number of tourist boutiques. Every village has something to offer — it's up to you to discover and celebrate it. This sturdy market town — literally, "Island on the Sorgue River" — sits within a split in its crisp, happy little river. Its crystal-clear water babbles under pedestrian bridges stuffed with flower boxes, and the town's old-time carousel is always spinning. But Isle-sur-la-Sorgue is primarily a workaday town — which can feel refreshingly real after so many adorable villages. The presence of water at every turn here is a welcome change from the arid cities and villages elsewhere in Provence. The Sorgue River's extraordinarily clear and shallow flow divides like cells, producing water, water everywhere, and giving the town its nickname, the "Venice of Provence." Aside from the market, Isle-sur-la-Sorgue is a pleasantly average town with no important sights and a steady trickle of tourism. It's lively on weekends, calm most weeknights, and dead on Mondays. It's also ideally situated for short biking forays into the mostly level terrain. Three towns in particular make easy biking destinations from Isle-sur-la-Sorgue: Velleron (5 flat miles north, a tiny version of Isle-sur-la-Sorgue with waterwheels, fountains, and an evening farmers' market); Lagnes (3 miles east, a pretty and well-restored hill town with views from its ruined château); and Fontaine-de-Vaucluse (5 gently uphill miles northeast, the beautifully set source of the Sorgue River). If you're really on vacation, make the trip to Fontaine-de-Vaucluse by canoe. With all the trendy charm of Santa Fe on a hilltop, photogenic Roussillon requires serious camera and café time. Roussillon has been a protected village since 1943 and has benefited from a complete absence of modern development. Walk up to the village's summit for a commanding view. Though nothing remains of the castle that once occupied the top of the appropriately named Red Mountain (Mont Rouge), the strategic advantage of this site is clear. From here I like to see how many villages I can identify, while appreciating the near absence of sprawl in the valley below. In town, linger over un café, or — if it's later in the day — un pastis, in what must be the most picturesque village square in Provence (Place de la Mairie). You could paint the entire town without ever leaving the red-and-orange corner of your palette. Many do. The town's distinctive reddish color isn't purely an aesthetic choice: Roussillon sits on the world's largest known ochre deposit. From the south end of town, a radiant orange path leads around the richly colored, Bryce Canyon-like cliffs. While Roussillon receives its share of day-trippers (especially on Thursdays, its market day), mornings and evenings are romantically peaceful here. The Luberon's most impressively situated hill town is worth a quick stop to admire its setting. Hard as it is to imagine today, in the 1960s Gordes was a virtual ghost town of derelict buildings where locals led simple lives and had few ambitions. Then came the theater festival in Avignon, bringing directors who wanted to re-create perfect Provençal villages on film. Parisians, Swiss, Brits, and a few Americans followed, willing to pay any price for their place in the Provençal sun. Today Gordes is renovated top to bottom and filled with people who live in a world without calluses. Many Parisian big-shots and moneyed foreigners invested heavily, restoring dream homes and putting property values and café prices out of sight for locals. Between the village's natural beauty and the boutiques that followed the money, expect gridlock and parking headaches in high season. Beyond its stunning views, the village has little of interest except for its Tuesday market (until 13:00) and its 11th-century castle, which houses contemporary art exhibits. This understated, quiet, and largely overlooked village slumbers below the Gordes buzz. Vertical stone lanes with carefully arranged flowers and well-restored homes play host to aspiring Claude Monets and a smattering of locals. There's not much to do or see here, except eat, sleep, and just be. Joucas has one tiny grocery, a view café, one pharmacy, a good kids' play area, and one good-value accommodation option. Sleep here for a central location and utter silence. The southernmost Luberon village of Lourmarin has a good Friday market, a beautiful Renaissance château on its fringe, and an enchanting town center. Lourmarin sits on a level plane and feels strangely peaceful and happy, away from the more-visited villages in the heart of the Luberon. This self-assured and lovely town accommodates a healthy tourist demand without feeling overrun. It's the best Luberon village to enjoy in the winter when other, better-known towns rattle about with few residents and little commercial activity. Existentialist writer Albert Camus (The Stranger) lived in Lourmarin in the 1950s and is buried here, lending it a certain fame that persists today. Author Peter Mayle moved here not so long ago, adding to the village's cachet. Lourmarin makes a good base for touring the southern Luberon, Aix-en-Provence, and even Marseille and maybe Cassis. From here you can tour big cities, beaches, and castles, returning every night to the comfort of your village. To enjoy the ambience of the Luberon, you'll want at least one night and a car (only Isle-sur-la-Sorgue — and, to a lesser extent, Lourmarin — are accessible by train or bus). Allow a half-day for Isle-sur-la-Sorgue if it's market day (less time if not). Add more time if you want to paddle the Sorgue River or pedal between villages. You'll also want at least a full day for the Luberon villages. 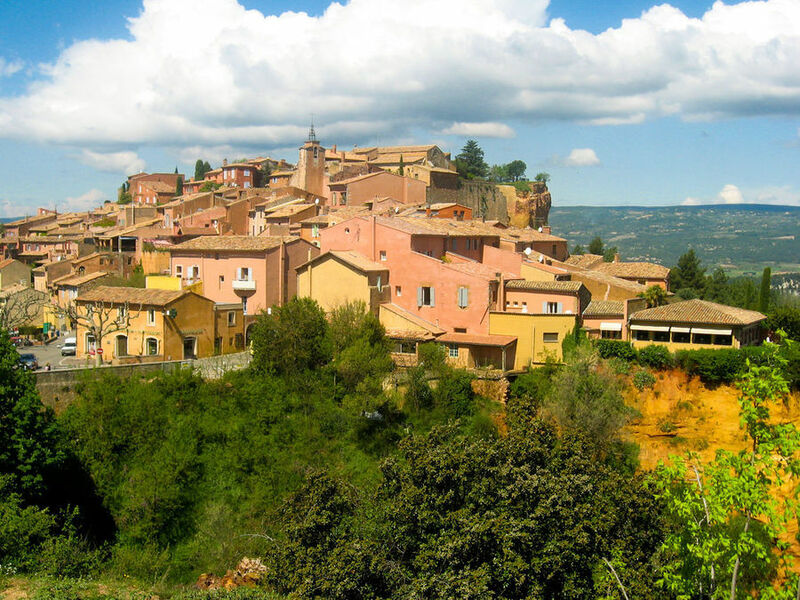 For the ultimate Luberon experience, drivers should base themselves in or near Roussillon. To lose the tourists, set up in Oppède-le Vieux, St-Saturnin-lès-Apt, or Buoux. If you lack wheels or prefer streams to hills and like a little more action, stay in Isle-sur-la-Sorgue, located within striking distance of Avignon and on the edge of the Luberon. Adequate train service from Avignon and Marseille, and some bus service, connects Isle-sur-la-Sorgue with the real world. 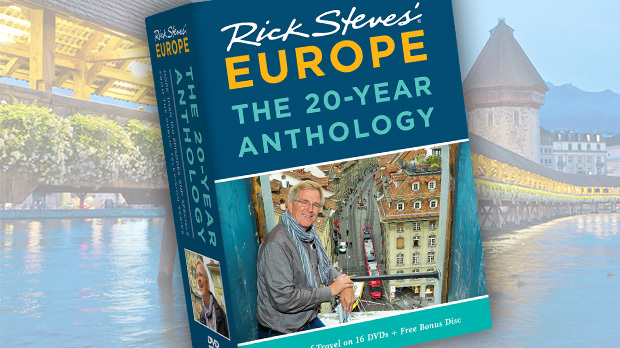 Steve Smith is the co-author of the Rick Steves Provence & the French Riviera guidebook.